Here’s a little sneak preview that Eclat dropped online, giving us a look at their new BIOS Tripod seat and a Satin Oil Slick colored Tripod post. The seat won’t be out until later this year in October, but it looks real good. If you caught our Frostbike 2016 post from the Eclat booth, you might have noticed the Tripod seat base they had on display. The crew over there spent some time designing their own base which features some different ribs for increased strength and screws to hold the cover on nice and snug. Below are a few detailed photos giving you a closer look. Expect this one in BMX shops and mail-orders that carry Eclat worldwide later this year! Deco BMX just hit us up with an email giving us a look at a handful of their new products they just released like their new Flatland Series Pivotal Seats, Tie Dye Pivotal posts and new colors for the Swirl grips! 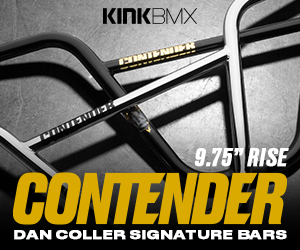 If you’re looking to add a little flavor to your BMX bike, you might want to take a closer look at this one! Let’s get into this.